Wonderful how the plight of 12 young soccer players lost in a remote cave in Thailand brought the world together recently. Here in Toronto, we can share such concerns directly with Thai neighbours. 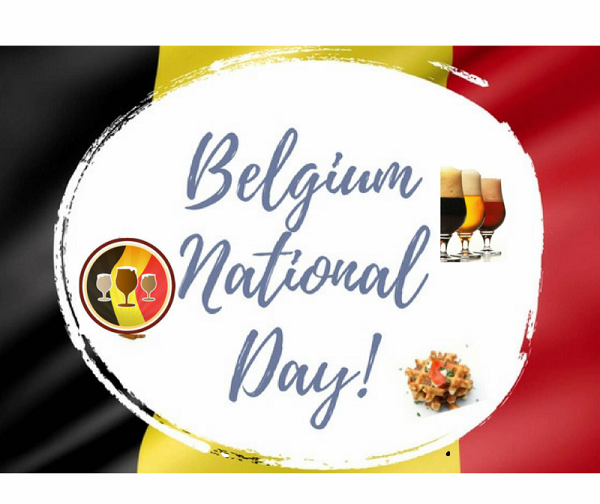 Coming up are opportunities to interact with people with African, Belgian, Brazilian, Lebanese, and Chinese heritage too. For free, or almost free, we can talk with pastors bent on circumventing the U.S. embargo on Cuba, or learn about Muslims in Australia. 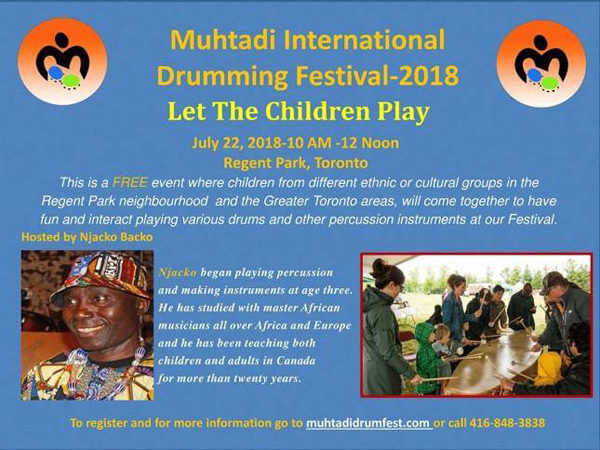 We can introduce our children to Persian or African culture. We can enjoy England’s Shakespeare, master-class photographs from India, and walk to raise money for mental health with members of an Indian church. 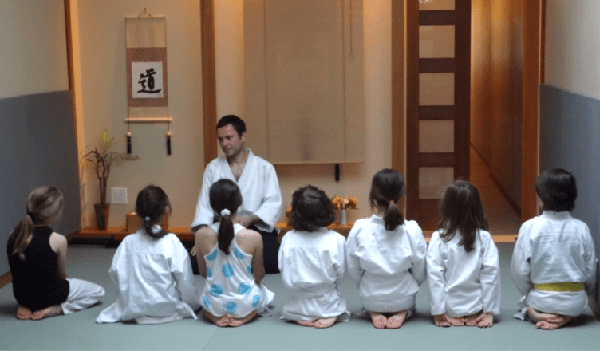 We can hobnob with reggae enthusiasts, dance with thousands of Bollywood fans, and our women and girls can take classes in an ancient Japanese martial art. Here are these samples of the opportunities we have in our city to experience the world. Australia. Muslim. 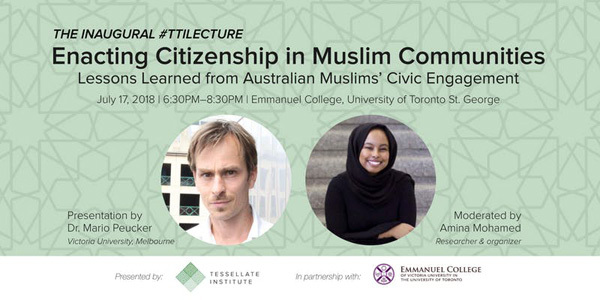 TTI Lecture Series: Enacting Citizenship in Muslim Communities: Lessons Learned from Australian Muslim’s Civic Engagement. July 17. 6:30-8:30pm. $0-$15. Emmanuel College, Room 001, 75 Queen’s Park Crescent East. China. Multicultural. 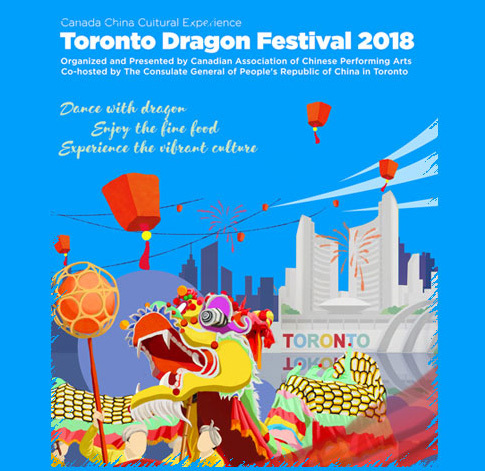 Toronto Dragon Festival. 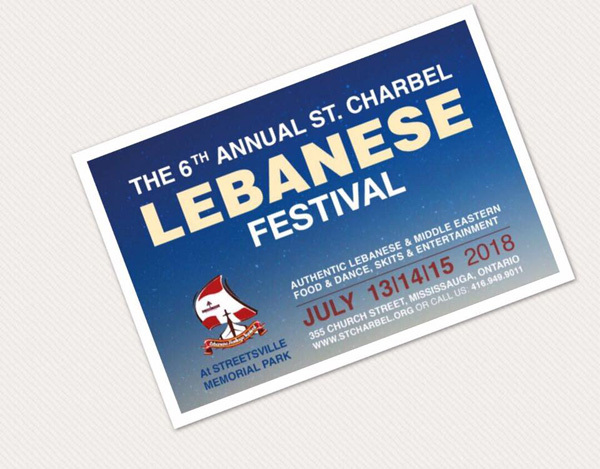 July 15–16. 10am-10pm. Free. Nathan Phillips Square, 100 Queen Street West. Cultural demonstrations, performing arts, and traditional customs, etc. China. 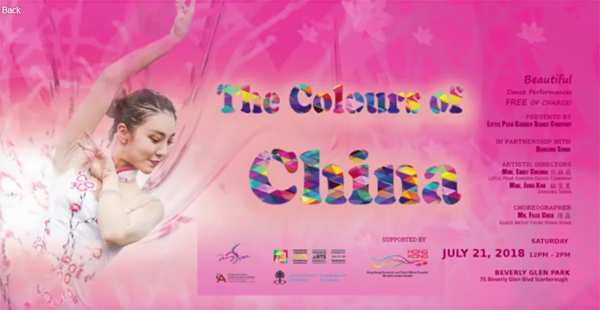 Colours of China. July 21. 12-2pm. Free. Beverly Glen Park, 75 Beverly Glen Boulevard, Scarborough. Little Pear Garden Dance Company presents workshops, performances, and stories featuring Chinese dance from varying historical periods and regions. Note: Shakespeare belongs to the world. But his plays started in England. Romeo and Juliet was first performed in 1594 there. India. Christian. Mind Matters Walk-2018. Annual Walkathon. July 22. 9am-9pm. For route and time, contact Mar Thoma Church. Organized by “Sevika Sanghom, the women’s wing of the Mar Thoma Church… to end the stigma of mental illness!! venue to be announced.” For more information, contact: Phone: 905-636-0677; Email: webmaster@marthomachurch.ca. http://marthomachurch.ca/Events/SingleEvent?EventId=1103. Note: This sounds like a good opportunity to share a common concern with friendly members of this ancient apostolic church from South India — especially if you live near Milton. Ruth. India. 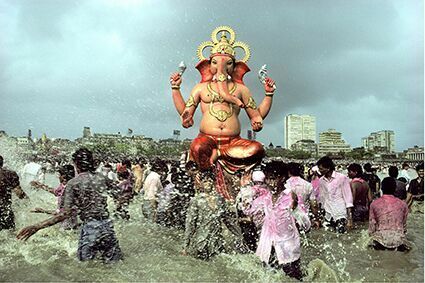 Modernism on the Ganges: Raghubir Singh Photographs. July 21 to October 21. General ROM admission $14-20. Featuring photographs by one of India’s most visionary and celebrated pioneers in colour photography, Raghubir Singh (1942–1999), this exhibition showcases iconic depictions of Indian life and culture in vivid colour. Royal Ontario Museum, 100 Queen’s Park. Ruth’s Note: For a taste of Persian sweets any day, visit Iranian Plaza, a.k.a. Little Persia. It is around 6111 Yonge Street, the location of Papa Pastry and Cafe. 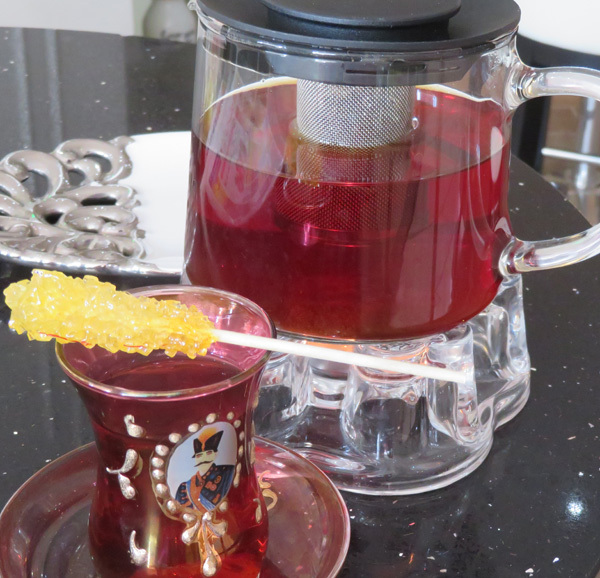 Here tea comes with a fancy decorated cup, a sugar stick and a pot on a burner. Elegant! You can also explore the B.B. Cafe, and a Persian Arts and Handicrafts Store. The big Khorak supermarket is to the north, and Zamanis across the street bakes wonderful Persian bread. Image from Tao Sangha website. Thanks to P. Anne Winter for bringing his event to our notice. South Asia. Bollywood Monster Mashup. Bollywood Monster Concert. July 20. 4pm. Free. 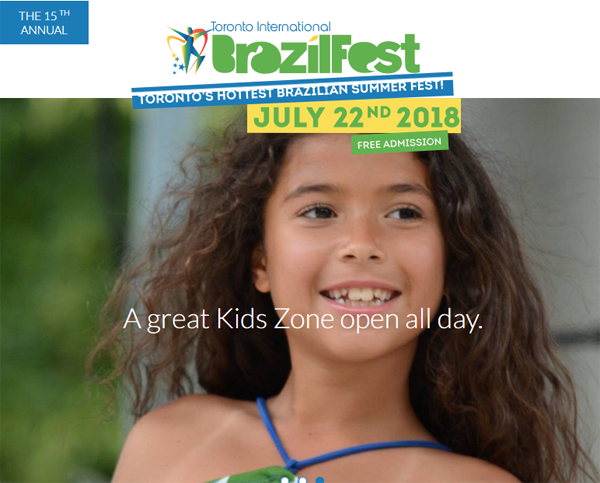 “The largest South Asian Festival in Canada takes flight with a concert, film festival and more. 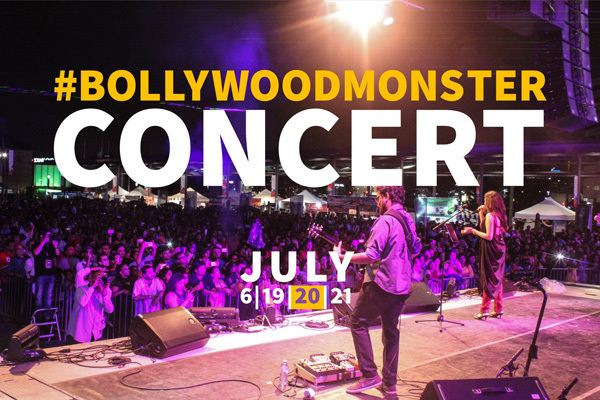 Don’t miss out on thousands of Bollywood fans singing and dancing in the heart of Mississauga.” Celebration Square, Mississauga. 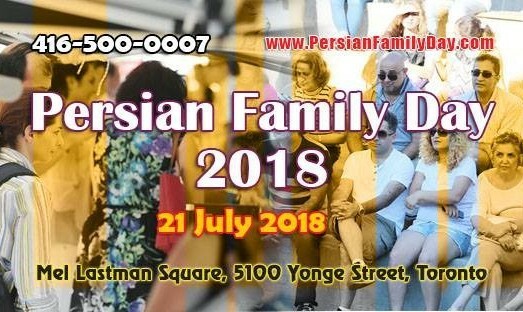 Video: http://www.bollywoodmonstermashup.com/ Note from Ruth: TorontoMulticulturalCalendar.com chooses to promote events that encourage a feeling of community in our culturally diverse city. Mention doesn’t mean endorsement but we try to include events we think readers will find stimulating in the cultures of other groups. If you go to any of our mentioned events, please send us corrections or an account of your impressions so we will know whether or not to promote these events in future. Please continue to send us posters. We don’t charge to post them and we don’t accept paid advertising. Post comments on “Leave a Reply” below. Email us at: ruthlormalloy@gmail.com. Subscribe to our Newsletter above.